The following UNM Newsroom article highlights the recent work of Dr. Keith Prufer, UNM Professor of Anthropology and faculty affiliate of the Latin American and Iberian Institute. It was originally published November 8, 2018, as "Ancient human population histories revealed in Central and South America." We are pleased to reprint it here to highlight his accomplishments. The first high quality ancient DNA data from Central and South America—49 individuals some as old as 11,000 years—has revealed a major and previously unknown exchanges between populations. Unprecedented details about the ancestry of the people of Central and South America have been uncovered in a new study in the journal Cell by archaeologists and geneticists at The University of New Mexico, Harvard Medical School, the Howard Hughes Medical Institute, the Max Planck Institute for the Science of Human History, the University of California Santa Cruz, the Pennsylvania State University, the University of São Paulo, and other institutions in Brazil, Belize, Chile, Argentina, Peru, the European Union and the U.S. The researchers analyzed DNA data from precisely dated skeletons found in excavations in Central and South America. Some of these people were over 10,000 years old. Previously, the only genomes that had been reported from this region and that provided sufficient quality data to analyze were less than 1,000 years old. Graphic showing the geographic movement of populations discussed in the study. After obtaining official permits to excavate, the researchers conducted analysis on ancient human remains, and consulted with local governmental agencies and indigenous organizations. By comparing ancient and modern genomes from the Americas and other parts of the globe, they were able to obtain qualitatively new insights into the early history of Central and South America. UNM Anthropology Professor Keith Prufer and his colleagues from Pennsylvania State and Exeter University (UK) contributed the Central American component of this unprecedented study as part of an NSF and Alphawood Foundation funded project studying the earliest humans to settle in the American tropics. Prufer led excavations in Belize where the they recovered three of the oldest skeletons from the region, all with well-preserved DNA. This UNM project focuses on early human adaptations in remote tropical rainforests in the Americas. 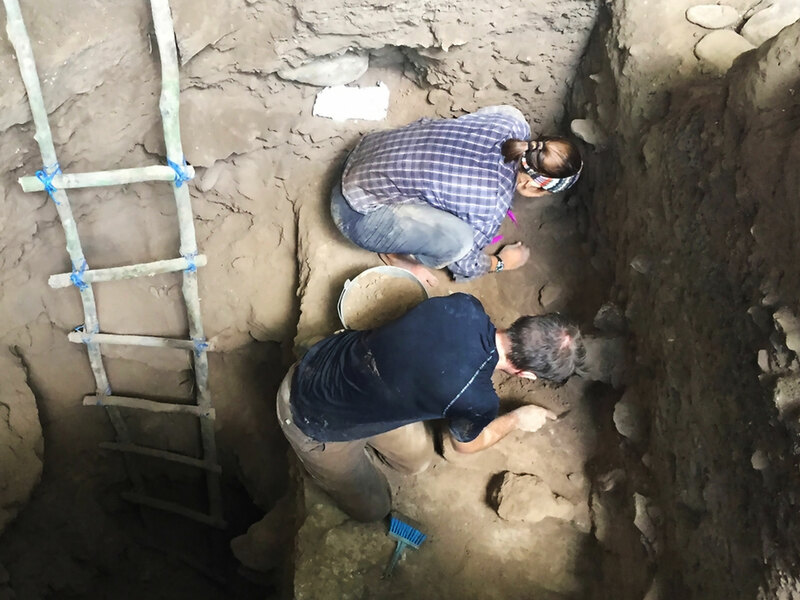 The data from these excavations are reshaping how researchers view Early Holocene relationships between humans living in North, Central and South America. According to Prufer, there are many remarkable aspects to this research finding. The researchers emphasize that their study gives only a glimpse of the discoveries that may come through future work. 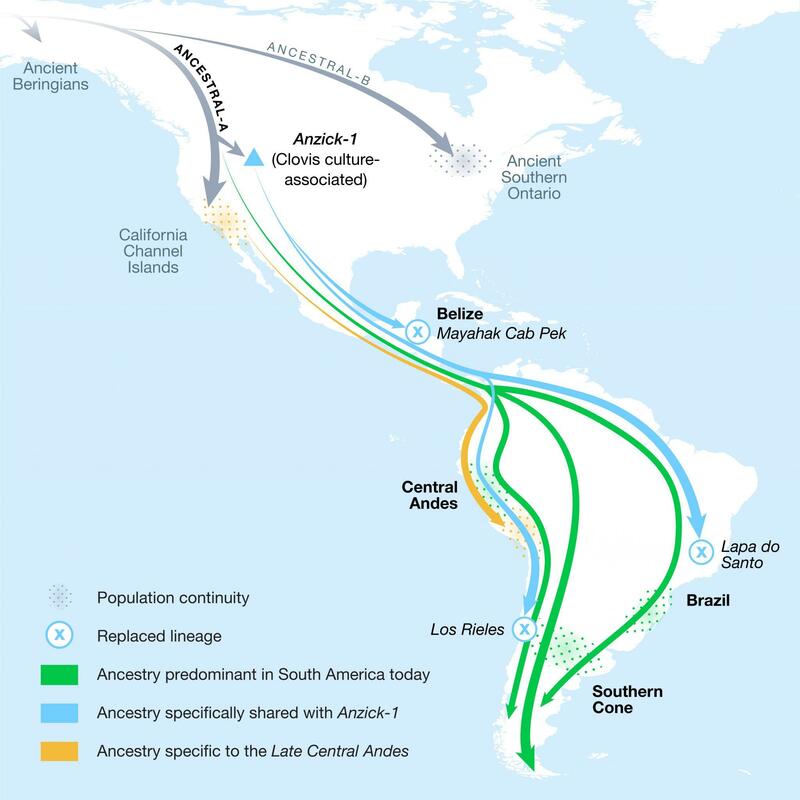 To learn about the initial movements of people into Central and South America, it would be necessary to obtain ancient DNA from individuals dating to before 11,000 years ago. Additionally, even for the period between 11,000 and 3,000 years ago that is best covered in this study the picture is far from complete.